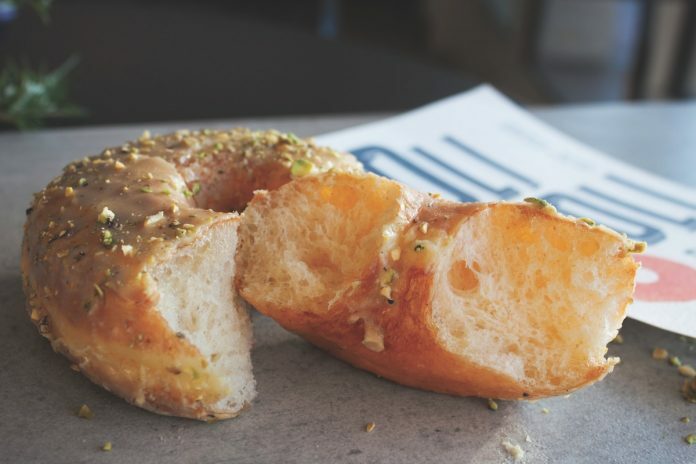 Pistachio praline doughnut from Oliboli Donuts. When it’s cooked just right, Korean donkatsu (a dish descended from Japanese tonkatsu) is a special meal: a pork cutlet breaded and fried to a perfect, greaseless crunch. Everything’s big and bold at Wreckless in Fullerton, but the Italian Lemonade reveals a softer side. The drink is a mix of Meyer lemon liqueur, amaretto, lemon, lime, and a sprig of basil. It’s sweet but not cloying, with a touch of tartness and a hint of floral perfume from the basil. This is an easy drink to enjoy, like a last kiss of winter before spring.